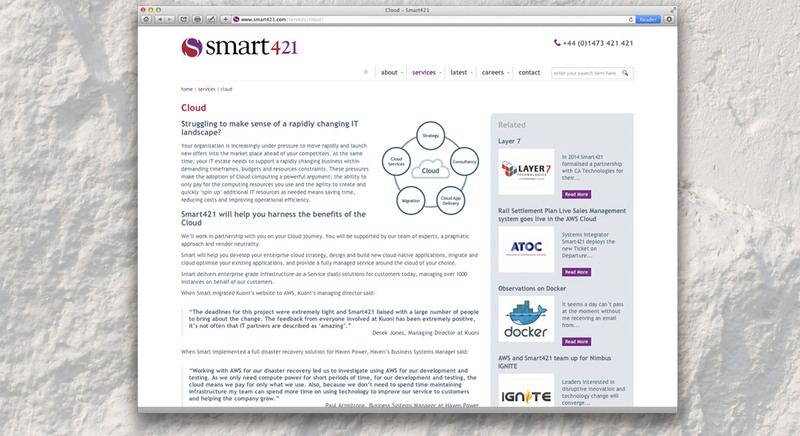 Smart421 delivers high-end consultancy, integration and service management of business-critical IT for large enterprises operating in regulated markets. Smart421 was created as a result of a demerger of a leading consultancy which decided to pursue a new direction. ￼￼￼￼￼￼￼￼￼￼￼Armed with a name, industry-leading technology skill sets and a portfolio of high quality legacy clients, Smart421 wanted to build a brand identity that reflected its ambitions and would help establish its new self rapidly in the market place. We established the new company’s distinctive ‘voice’ and set the launch marketing strategy, target audiences, customer propositions, marketing plan and delivery mechanisms. 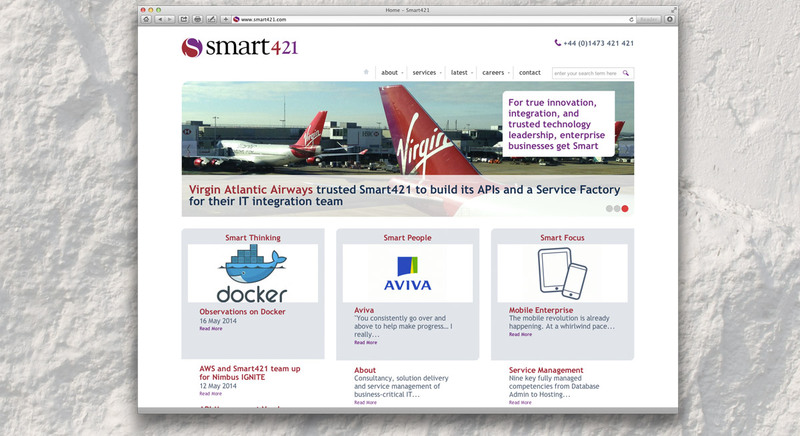 Then we created a distinctive corporate identity that was implemented throughout Smart421: from the décor of the company’s new headquarters building through to its email footers. ￼For more than 15 years we have acted as Smart421’s lead design agency, continuously developing materials that assist them to capitalise upon newly presented opportunities.